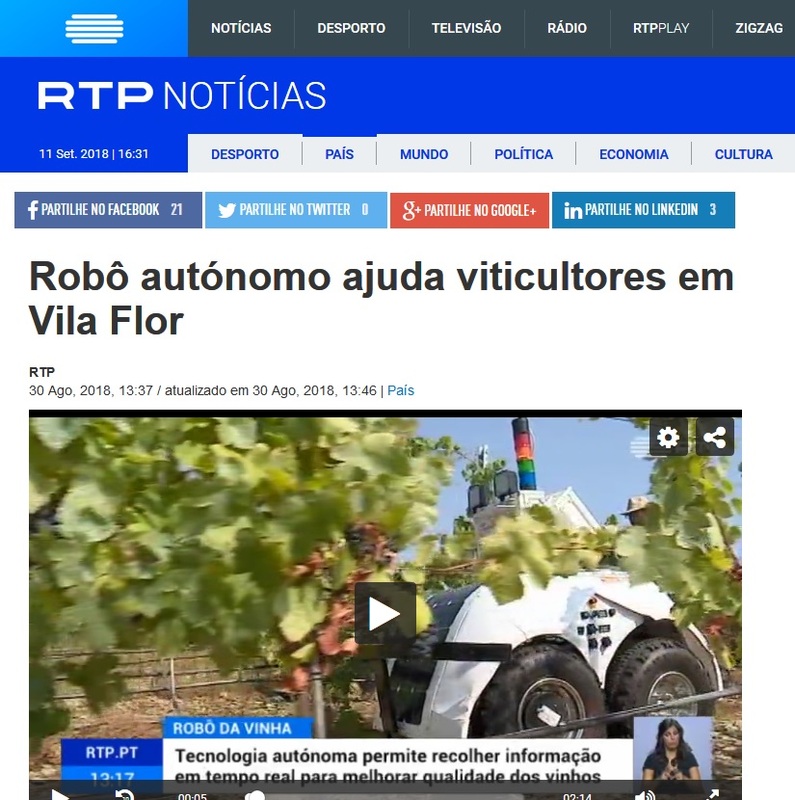 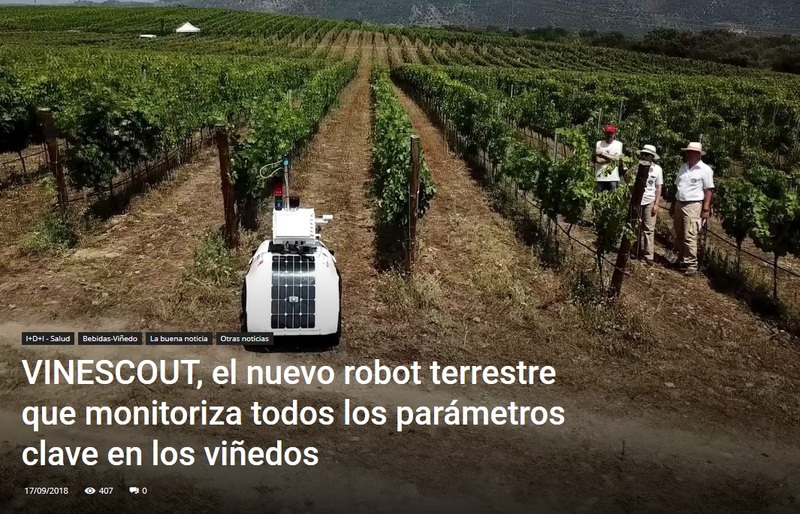 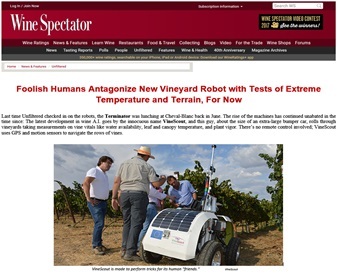 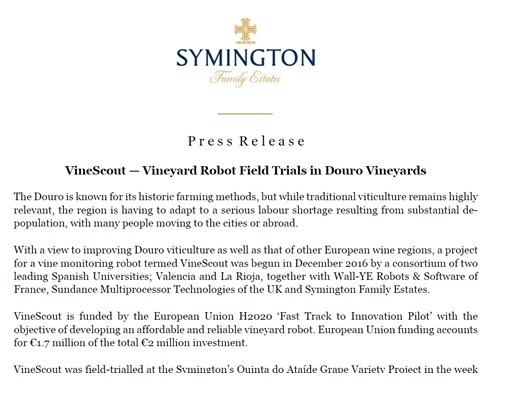 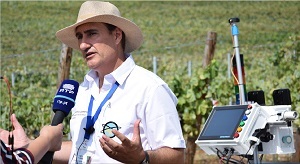 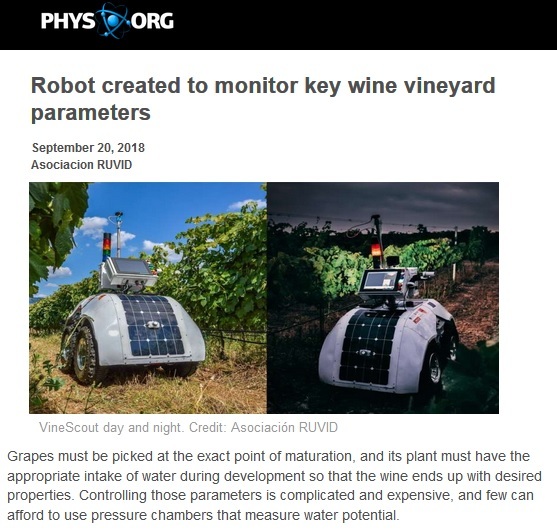 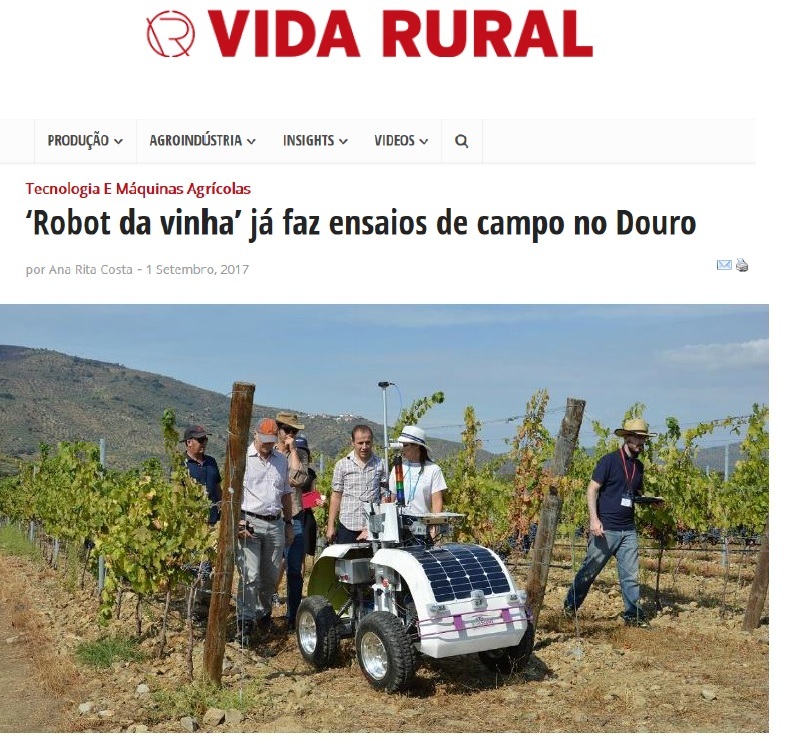 A project that targets the commercial arena of service robots for the wine producer can never take place in an isolated lab of an ivory tower; rather, it must be well grounded in typical vineyards, and press articles or media clips will offer the right channels to outlet the findings and results from the project. 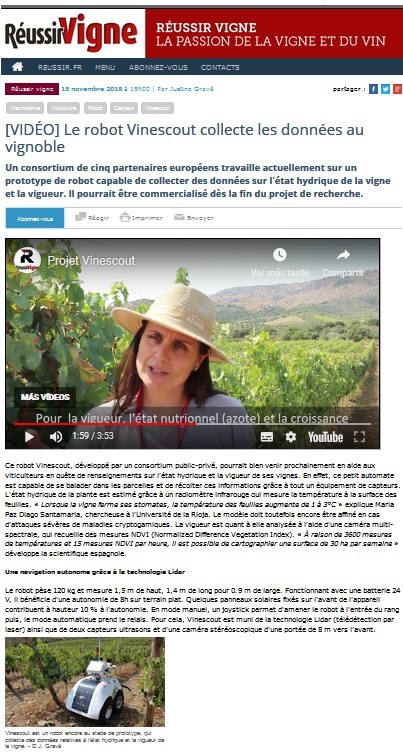 This section posts the most relevant communication material generated along the project. 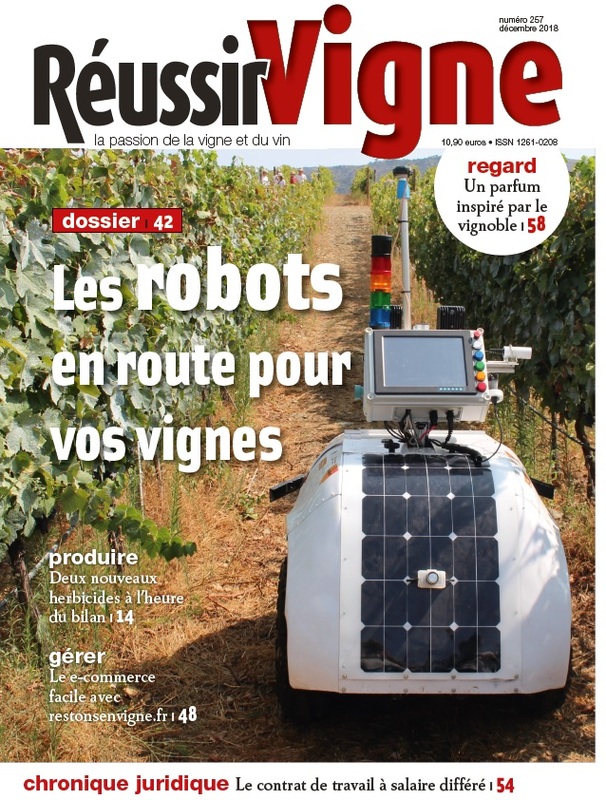 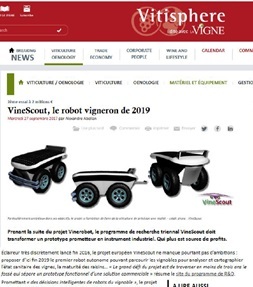 French – VineScout makes the COVER PAGE in RéussirVigne!